Established in 2015 as a new Finance Shared Service Center of Jarden Corporation in EMEA Region, the Jarden BSG (Business Services Group) team operates from the Czech Republic as part of the CAMPING GAZ CS s.r.o. legal entity, which is one of Newell Brands Sales and Marketing companies serving the Czech market. We are a young, diverse and dynamic team of over 100 finance professionals with a mission to support growth plans and business goals of our stakeholders by providing high quality service delivery through business partnering and team work. Our work is focused on activities in Accounts Payable, Accounts Receivable, General Ledger, Treasury, Master Data and Customer Service areas. Portfolio of our customers is represented by nearly 30 different Newell Brands companies in more than 15 different countries in the EMEA Region. Introduced in late 2016, the Growth Game Plan establishes a new set of investment priorities; makes sharp portfolio choices; streamlines our organization; and strengthens and extends our innovation, design, insight, brand development, and eCommerce capabilities across a broader set of categories. Our Purpose is to make life better every day for hundreds of millions of consumers where they live, learn, work and play. We put the consumer at the heart of all that we do and we are purpose-driven to make a positive difference in people’s lives. Our Ambition is to build a winning team that aspires to – and achieves – industry leadership. Our ambition is made possible by leveraging the scale of a $16-billion organization and by focusing on our best opportunities for growth. Our DNA is the common thread that unites our company – across more than 100 years of history and across so many different brands and geographies today. Our DNA has always been a part of us, and it will be the foundation of our success moving forward. Our Portfolio includes many well-known brands across a wide variety of categories. By defining clear roles within our portfolio, we are able to invest disproportionately in our biggest and best opportunities. Our Ways to Win define the most important actions that drive our growth agenda – actions such as partnering with our customers, leading growth in e-Commerce, and building an industry-leading team. 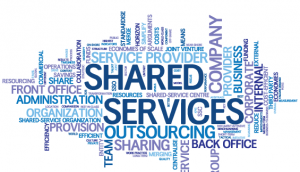 A shared services center is a part of a business where specific functions are centralized, in order to better service the organization as a whole, taking into account factors such as processing efficiencies, responsive service and corporate governance objectives. A SSC is primarily responsible for specified operational tasks, such as payroll, finance and accounting services, human resources, IT, legal, compliance and procurement. The objective is to service multiple entities / regions within a global organisation to achieve maximum efficiency and cost effectiveness. Come and join us! See what opportunities are available in Job Openings.